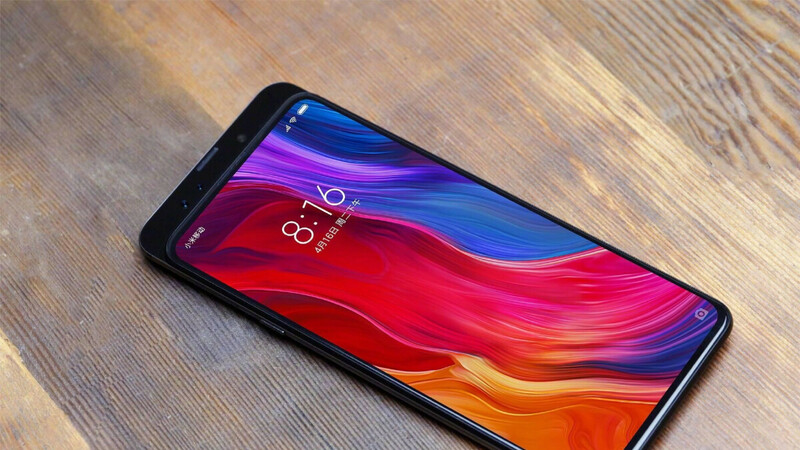 Xiaomi has already confirmed both the design and announcement date of the Mi Mix 3, but it wasn’t until yesterday that the company actually began teasing the smartphone’s specs. And after quite a bit of speculation, the low-cost brand has announced two huge features. Following up on yesterday’s teaser, Xiaomi has taken to its official Spanish Facebook page to announce that the Mi Mix 3 will be one of the “first smartphones in the world” to be compatible with the next-generation 5G networks. This is certainly an impressive feat and would mean that it’s also the first device to come with the support built-in. After all, although the Moto Z3 that was announced back in August is technically the first device with 5G support, it requires a separate 5G Moto Mod which won’t be available until January 2019. While on the topic of world firsts, Xiaomi has confirmed via its UK Facebook page that the Mi Mix 3 will also be the first ever smartphone to ship with 10GB of RAM. However, this does come with a small asterisk that states availability of this particular variant will vary by market, so not all consumers will be able to purchase it. Instead, models with 6GB and 8GB of RAM will be much more widely available. The Mi Mix 3 will make its international debut on Thursday, October 25 in Beijing. As is often the case, sales will be limited to the Chinese market for the first few weeks before expanding into international territories starting mid-November. In regards to colors, the smartphone should be available in Black, Green Emerald, and Sapphire Blue. 10GB in a phone is overkill. That's your opinion. Why would I need 10GB's in a phone? What am I doing with this phone to have that much RAM? Phones are also approaching 1TB in storage. For what? Why would I need that much space? Again, in my opinon, overkill. Well storage and ram are different. I have the 512gb Note 9 and I have. 250GB scared in it as well. Now I dont have to carry USB drives. I have my fill music library which is nearly 300GB and my entire video library at ~250GB. Our content is starting to take more storage also as time goes by. Advance mobile gaming. 4K videos. Higher resolution photos. Same goes for running more "capable" apps in the background. Eventually we'll need more RAM as well. Kratos47.....great point. You are right. We are headed there. I just feel Xiaomi did it to lay claim that they were first, not because it's needed right now. I agree with you though in that eventually these kinds of spec will be standard on cell phones. There us such a thing as too much ram and I agree. But not storage. A photographer whonused his phone would love such. What you going to use 10GB of ram for though is another story Unless the software is poorly optimized, more ram is only good for muktitasking. Compared to the Nite, there isn't a phone on the market that miktitasks equally. Even the S series which is a better multitasking device above any Android or IoS device can't match the Note. So how is that "too much" ram? In what way, shape, or form does having a billion TBs of available RAM negatively affect your phone usage/experience for it to be considered "too much"? Maybe he thinks that better have more storage than more RAM. It will affect the price of course. I also prefer phone with 6/128 than 10/64 or prefer 8/256 than 10/128. More ram is free ram.. Do you want 3GB or 10GB for the same price? Which is much better: complaining that your phone don't have enough memory for the things you do or just chilling, knowing that you can throw anything at your gadget without slowing it down? Considering the affordable nature of xiaomi devices, 10gb ram with large storage for less than $700 is a win-win for consumers. Can't wait! Gonna switch from my P20 Pro (ugly AF). It’s not overkill. Maybe Android will run smooth finally? Maybe they should put a 5000 mah battery in it as well. Since Android also can’t manage power either. One that a Poco phone keeps up with in normal day to day usage I assume. If users previously using smartphone with 3-4GB of RAM, sure they will notice something. If users coming from 6-8GB of RAM, maybe nothing different. Even OnePlus's 8GB models show no improvement over 6GB ones! Other than using up more power and shooting up price, i see no difference a 10GB Ram model will make. They are doing it just for the hype. At the moment, 6GB is a sweet spot with generous RAM left free most of the time to keep apps in memory. Yes.. I prefer more storage than RAM. For me I will choose 6/128 phone than 8/64.. I prefer 8/256 than 10/128.. If the are cost the same each other..
10GB Ram is so awesome I hope it's decent price point and comes with Snapdragon 850 heck i'm using iPhone 7 this be good upgrade coming from 2GB Ram phone I just hope benchmarks as good or better then iPhone XS. It's 8150. And no 2018 models will have this chip. 2019 flagships only. But there is no SOC that supports 10GB Ram. Right? Technically, Top end SOC has 64Bit LPDDR4x, So some manufacturer must have started mass production of 20Gb(2.5GB) per DRAMs, which ive not heard about yet. Currently highest 16Gb(2GB) DRAMs are manufactured and 4 of them are stacked together to give 64bit of 8GB Ram. PS- Could be that they will announce the 10GB Ram version now with the new Snapdragon SOC and availability will be next year march. But most version will have 845 i think. 1pGB is overkill. Even 8GB in the Note 9 is overkill. None of the apps on Play Store alone use more than 512k of ram. It will be great at multitasking, except it won't have much of it vs the Note. Chinese companies are trying to attract customers by claiming that they have got the most rammed up phones. Just BS marketing hype. And that hype will work, Chinese people tend to be spec w***es and the worlds largest smartphone market just happens to be? Yup, you guessed correctly, China.